On the 1st of August we launched an Open Beta of the mobile online game Cats vs Pigs: Battle Arena. Despite the fact that we did not announce the start of beta testing anywhere, did not send out press releases and did not perform user acquisition campaigns - within 3 weeks after the launch, according to GameAnalytics, the game has got about 5400 testers. Knowing that many mobile developers are very interested in the growth of organic and viral traffic for their soft launched games, we decided to share our experience of making preparations for an open beta, which allowed us to get positive results already at the earliest stage of the project life cycle. The project is based on the idea of ​​combining the gameplay controls inspired by Angry Birds with the principles of the meta game used by the popular mobile project C.A.T.S. It can be assumed that while working on the game, we tried to answer the demands of specific part of the C.A.T.S. audience, which insistently asks developers to give players the possibility of direct controls during battle sessions. Consequently, in our "Kitties", unlike the original, the player can not only build a funny battle machine, but also controls it during the fight, by pulling the cats (installed on the machine’s deck) by the tail so that they get angry and shoot at the enemy. The studio behind the game - GROSSING.GAMES was formed in January this year. Cats vs Pigs is not the sole and only project of the studio, but currently is the most important one. Its initial team included a lead programmer, a lead artist, a technical game designer and myself (in the role of both a game designer and a producer). From the moment of the development start, other specialists temporary joined us to help perform tasks of additional art creation, animations preparation, sound effects integration etc. However, the backbone of the team remained unchanged. After half a year of development in this configuration, we received a version of the game that, according to our opinion, could be finally shown to publics. From the very first months of work on Cats vs Pigs, we periodically held playtests, and also showed the game to our friends and families. Usually such early version's showcases end up with cautious wishes of success by respondent after 5-7 minutes of improvised testing. However, some time ago there was a case that demonstrated that the game was approaching a satisfactory condition. At the birthday party of a close friend, the conversation touched my gamedevcareer, and someone asked to tell what I'm working on. I showed the game and dropped the APK download link. Half an hour later most of the guests enthusiastically played our "Kitties", sending each other the build and trying to find companions in the tournament tables of the game. Birthday was in jeopardy, and I had to feel uneasy for the fact that the game attracted the attention of most guests. It became clear: the project is ready to be shown to a wide audience. Before starting a thorough preparation for the first launch, we had to think carefully and clearly answer the questions about the target platform: iOS or Android. The team took into consideration that the early release on iOS is more labor-intensive, since the work with the game account on the App Store is more strictly regulated in terms of requirements for the promo screens and App Preview videos. Moreover for high-quality support of iPhone X and iPad Pro, we would need to solve complex tasks related to the layout of game menus and art polishing for high screen resolutions with a relatively rare aspect ratios. To complete these tasks, we would need additional resources, which at that stage of development we preferred to save. The counterargument was that the studio's relationship with the App Store administration is much closer than with the Google Play administration, as my previous project - kids app Green Riding Hood managed to get a lot of featuring and had became iPad App of the Year in Russia. In the end the key factor of the platform choice was the ability to reduce the initial user acquisition budgets. We decided to focus on working with Google Play within the framework of the Early Access program. To participate in the program, one must release a project on Google Play in the Open Beta format and fill out a special online form. We decided to postpone the task of global release on iOS until the time we are sure: the "Kitties" are completely polished and are ready to exit the beta stage. 1. Well Thought out App Description.We tried to make the text description of the game’s store page in such manner that, on the one hand, it hooks a wide audience, and on the other - it includes all the main keywords related to both cats in general and C.A.T.S. 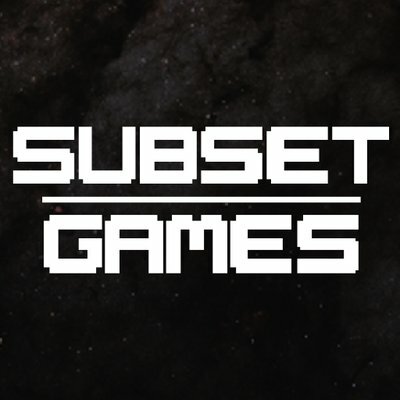 as a specific game to which audience we would like to appeal, mentioning that our project (although it has a similar meta game and setting) allows the player to control the combat machines during gameplay. 2. High Quality Promo Screenshots. We carefully approached the task to make the promo screenshots, having coordinated their content both with the real content of the game, and with the main topics of the app’s text description in the store. Clear "calls to action" were included into screenshot set-ups, and at the same time we tried to observe a visual balance between the real game screen captures and post-processing / decorations that made the compositions more appealing. 3. Availability of a Promo Video.While preparing for the Moscow DevGammConference, which had been held early this summer, we tried to make a simple but full features promo video of the game, which was then integrated into the app’s page. Google Play policy allows you to use videos that are not prepared specifically for the store. In contrary the task of conducting App Preview videos for the App Store deals the strict technical and content requirements. 4. The Original Application Icon.We used a lot of efforts to make a good application icon. The final result is made with love to details and meets all the Google guidelines that regulate the technical execution of icons for the support of the latest versions of the Android OS. Unlike the situation described above with App Previews, the situation with the app icon is directly opposite in competing stores: Apple ecosystem is simple and easy to work with, while the technical requirements for Android icons are confusing and diverse. Keep that in mind. On the night of 31st of July we disclosed the first open beta version of the game to publics. The main sources of referrals for external links were the letsplayvideos, which began to appear in YouTube on the very first day after the beginning of the open beta. From the moment we uploaded the first open beta build, we, as was mentioned above, did not announce the start of beta testing anywhere, did not send out press releases and did not hold user acquisition campaigns. Despite this, according to the report in Game Analytics (which contains not only data about the game downloads on Google Play, but also about downloads from other sources) by the end of August 21st, the "Kitties" received 5,432 installations. At the moment the game is available all over the world, but has only Russian and English localizations. The store page is also localized only in these languages. Most of the users tends to come from Russia. However a rather significant part of the player base was made up by the Iraq and Syria citizens, which is quite unexpected. In addition, a tangible number of installations came from other markets where the unit costs for attracting users are usually high (like USA), as well as France, Germany and other European countries. One of the reasons for that catastrophic situation was a number of bugs that became observable only after the beginning of open beta testing. Errors caused the inability to continue the game from a certain point, while we had additional troubles when players in some situations could not update their game with a fixed version. At the moment we are working on further improvements of these metrics. As they strongly affects potential investors’ attitude towards the game, and we are interested in attracting funds for the purposes to continue improving the project until it is ready for the global launch. The correct organization of a early mobile release is an important task for both small game studios and serious mobile publishers. Lately, more and more developers have abandoned the popular practice of soft launches in certain markets and shifted to the format of worldwide Open Beta on Google Play. We have tested this approach and found confirmation of its feasibility. Moreover, we found that correct attitude to the tasks of App Store Optimization can help an indie developer with limited resources to count on a significant number of organic installs from the very beginning of Open Beta operations. In our case, this allowed us to save more than a dozen thousand dollars on users acquisition in the first weeks. 1. Six months ago, we, a small team, began developing an online PvP game with an asynchronous multiplayer. 2. When formulating the concept of the game, we tried to take into account the current trends in the market and our own capabilities. 3. The final concept was expressed in the formula "Controls a-la Angry Birds + Meta Game Inspired by C.A.T.S. ", which was chosen with the goal to meet the expectations of audience that loves C.A.T.S., but is interested in the ability to control a character during gameplay session. 4. The understanding that the game was worked out enough to start public testing came when, at friends and family party, the game began to spread virally between improvised playtesters. 5. While preparing for the release, we, using own efforts, conducted the work to make the app’s page as good as possible taking into account the best modern ASO practices described and demonstrated above. 6. Thanks to this, immediately after the beginning of the Open Beta, we managed to reach high places in search results for many queries related to the reference games and trending keywords. 7. At the same time, we received high values ​​for the conversion metrics of incoming traffic to app installations - up to 77%. 8. Incoming traffic came not only for search queries, but also from external links at YouTube letsplays, which had appeared immediately after the release and without any interference from our side. 9. The number of installations has been approximating to 2K per week for 3 weeks in a row. 10. At first the game showed very bad retention metrics, but the trend quickly got reversed as we were fixing critical bugs and user base was becoming bigger and more loyal. Recently we have submitted an application for participation in the Google Play Early Access program using a publicly available form. If our application receives approval, we can get another serious source of traffic. In the meantime, we will modify the game, fix the bugs found in the Open Beta and work on improving the metrics of the project in order to attract additional funds that will be spent during the preparations for the global launch on both platforms. P.S. This is an extended and translated version of the post published recently in Russian at DTF.